Hot Autumn Nights and a $25 gift card plus a chance to win a $155 gift card! This time of year brings a mix of warm and fuzzy feelings. As I live in Wisconsin, the weather is always a surprise. Whether my state is enduring snow and ice storms or frosted green lawns and cool day temps during the holiday season, I still seek the ultimate activities for warmth. I delight in hot cocoa, lit fireplaces, homemade soups (I’m a soup addict), warm sun through a window, fleece apparel for those outdoor hay rides, visits to pumpkin/llama farms, and the twinkle of lights peeking from the holiday decorations that are generously lit during the long dark hours. But my list of warmth could never be complete without the warmth and love of my husband to share it with me. What’s my idea of a Hot Autumn Night? Well, it’s actually rather simple (I’m a simple girl…no…really….I am). I’m not into expensive champagne and I’m rather proud I’ve never had caviar. No, for me, a Hot Autumn Night would encompass a walk along a wooded lane, a full moon above lighting our way. The smell of wood smoke from a nearby fireplace and the brisk freshness of fall in the air. Leaves crunching beneath booted feet. Of course, this walk would be nothing without the man I’ve chosen to spend my life with, his hand in mine as we walk and talk about our yesterdays…and our tomorrows. Once home, settling before a blazing fire, cuddled beneath a crocheted afghan, letting the flames warm us from the outside while the love we share warms us from the inside then later….well, I’ll just leave that up to your imagination…..but that’s my idea of a Hot Autumn Night. 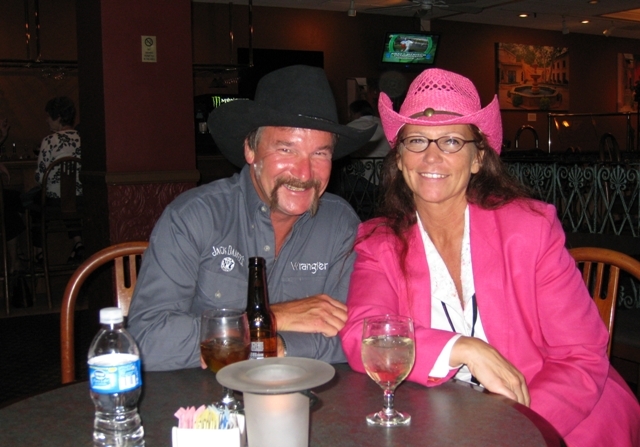 Nothing fancy, just…enjoying our time together, still in love after all these years. My favorite Autumn nights were from living in New Hampshire. After a day of apple picking, we would stop in at one of the many restaurants on the shores of Lake Winnipesaukee. We enjoyed a candlelit dinner looking out over the lake as the sun set. How about you? What is your best memory or wish for a Hot Autumn Night? Tell us in a comment for a chance to win a $25 gift card to Amazon.com from Happily Ever After Thoughts and you will be entered into the blog hop drawing for $155 to Barnes & Noble or Amazon. Then visit the other blogs in the hop (on the right) for more chances to win!! Today we are interviewing Romance author KC Klein. She is giving away a copy of TEXAS WIDE OPEN. Alexis: Hi KC, thank you for visiting Happily Ever After Thoughts. This romance seems to be quite different from your others. Can you tell us why you decided to go in this direction? KC: Sure, I would love to. I wrote TEXAS WIDE OPEN as a break from my first novel, DARK FUTURE. I wanted something a little lighter and little more fun. TEXAS WIDE OPEN started out as a shorter, sweeter contemporary aimed at one of the Harlequin lines. I thought I could slam this one out and go back to writing my sci-fi, dystopian romances. Ha, wishful thinking. Alexis: That’s okay, we like the way you naturally write anyway. So can you tell us what TEXAS WIDE OPEN is about? 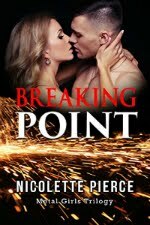 Katie always knew she’d marry Cole one day—until he broke her dreams and her heart. 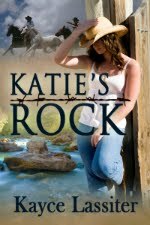 But now that Katie’s father is sick, she’s back home, older, wiser, and nowhere near the love-sick fool she once was. KC: I actually dreamt up one scene from the book (I’ll share part of that scene in an excerpt below) and from there the whole book just grew. Alexis: Oh, isn’t that the best way. Like it’s meant to be. What are your favorite character traits of Katie and Cole? KC: I love Katie’s fearless ability to love and go after what she wants. She follows her heart and be damned the consequences. I love Cole’s dogged sense of responsibility. Even though at times it was hard, he never turned his back on Katie or his family. Alexis: They are both characters after my own heart. So you dreamed a scene, but then you have to get it down on the page, or screen as the case is today. What type of writer are you? Nighttime or morning? Panster or Plotter? Silence or music? KC: I’m a Panster who really, really wishes she was Plotter. I write in the mornings on my days off and after my kids go to school. I do listen to music when I write, but more to trick my brain into thinking I’m at a dance party instead of typing away behind my desk than for inspiration. Alexis: Hey, if tricking your brain works, go with it :-) What can we expect next from you? Do you have any new releases coming or a work in progress? KC: My fav question. The next book in the Texas Fever series (Nikki and Jett’s story) is coming out late 2013 or early 2014. I also have the next installment of my sci-fi anthology, HOTTER ON THE EDGE, coming out the beginning of next year. Alexis: Excellent! We have more KC to look forward to! Thank you so much for sharing your story with us. It's a pleasure having you visit again. KC: Thank you so much for having me. It really is so fun to come back and share my newest release with everyone. Alexis: For a chance to win TEXAS WIDE OPEN, be sure to leave a comment for KC. If I have contact information, I will let you know when you win, otherwise, check the side column for your name on Wednesday under WINNERS. What can wreck an already unstable relationship? Rumors. In the 1800’s, London abounds with rumors. Nathan Grey’s estate is threatened by The Book of Scandal. The book had been arranged by the Princess of Wales with intentions to name treasonous people to the king. 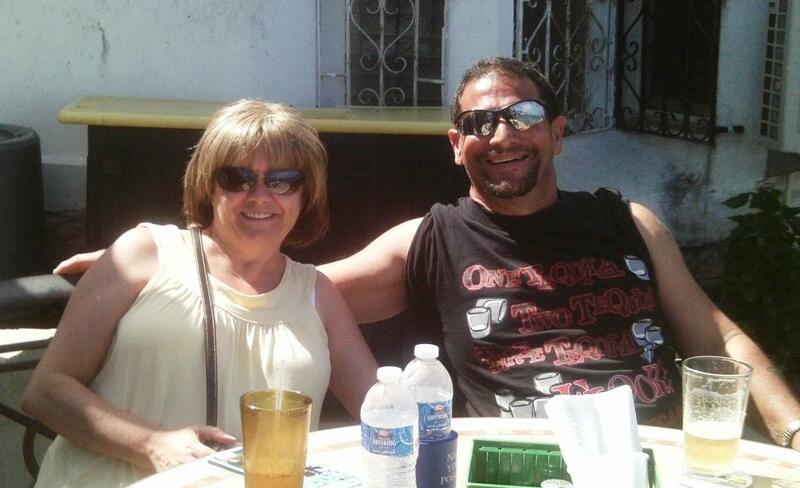 This included Evelyn, Nathan’s estranged wife. Nathan and Evelyn had a young and arranged marriage. The birth of a son had been grand news until the baby’s early death tore them apart. The Earl and Lady had been so distraught and sunk into their own grieving that neither understood the other. Beautiful Lady Evelyn Lindsey left her husband for the finer things in London. 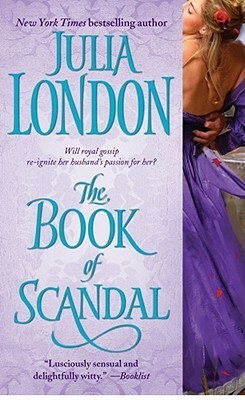 Unbeknownst to her, she is a subject in The Book of Scandal. The fight for the throne can bring out the worst in possible heirs, and Evelyn’s life is threatened. Nathan knows he has to bring her back to their home, whether she likes it or not. After Nathan abducts her and forces her home, imagine how surprised they both are when love invades their stubbornness. Yet to admit they both made mistakes in the past provides for a tremendous hurdle. Multiple love conflicts still present in today’s relationships prove a trial for their true love. Julia London has such a gift of mingling historical facts with the so-real created characters that you may think you’re an audience to the Earl and Lady’s heated reunion.